When putting together the list of occupations construction worker struck me as a strangely fitting career for so many super heroes. It may lack some of the practical benefits of other jobs, but when you’re strong enough to lift the building you’re building, and your other career may have knocked the last place down, construction worker is a job where the physical labor is far less taxing, and you’ll never hurt for work. 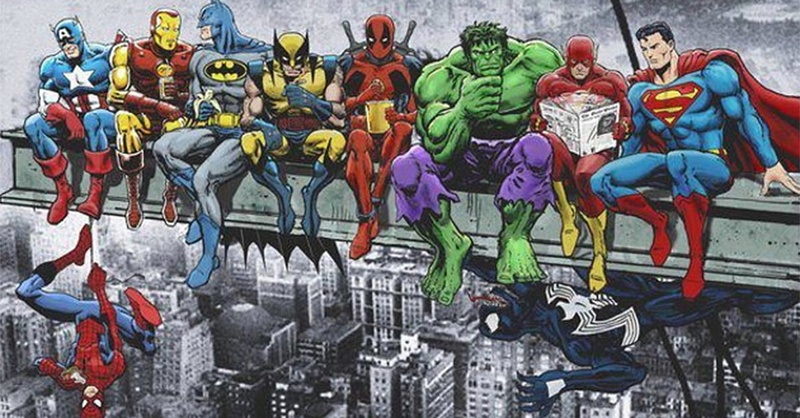 Are superhero construction workers the slackers of the spandex universe? All jokes aside, the Talents selected for a construction worker also fit most repair jobs from car mechanic to plumber. The construction worker’s core Talents center on rigors of intense physical labor, use of heavy machines, and knowing how to coordinate with a group. The related Talents explore a more independence, and leadership roles, designing blue prints, negotiating contracts, and finding the best deals on the tools and parts they might need. Foreman styled characters may consider Tactics, Bargain Finder, and Negotiation to settle disputes and find cheap solutions. A sleazy crewman on the other hand could add Wit: Cat Calling. (Now I’m not saying it works, but my cousin’s friend’s uncle met his wife cat calling, so it totally works. Why would he lie?) An independent home builder might look to Engineering over Tactics, expanding their Talents with Contacts, with his crew to operate under a foreman. Construction workers may find these Boons useful. The construction worker’s Boons focus on shrugging off minor injuries and scrapes at work, working with people of different cultural backgrounds and tools to get any job done.